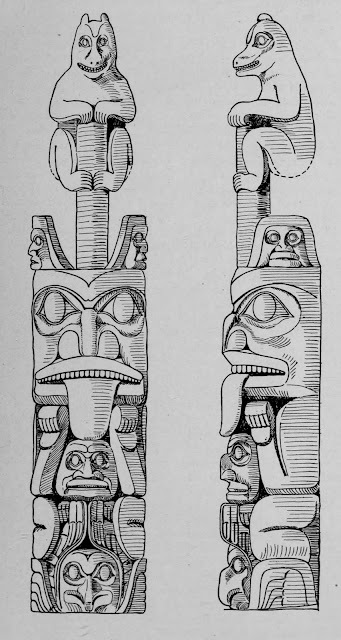 A description and drawing of a cedarwood Haida totem pole, with an interpretation of the symbolism by the anthropologist John Swanton. It was the patient and dedicated work of Swanton with Haida storytellers that has allowed Robert Bringhurst to create his trilogy on Haida myth: A Story as Sharp as a Knife : The Classical Haida Mythtellers and Their World (review HERE). This artefact is now in McCord Museum.